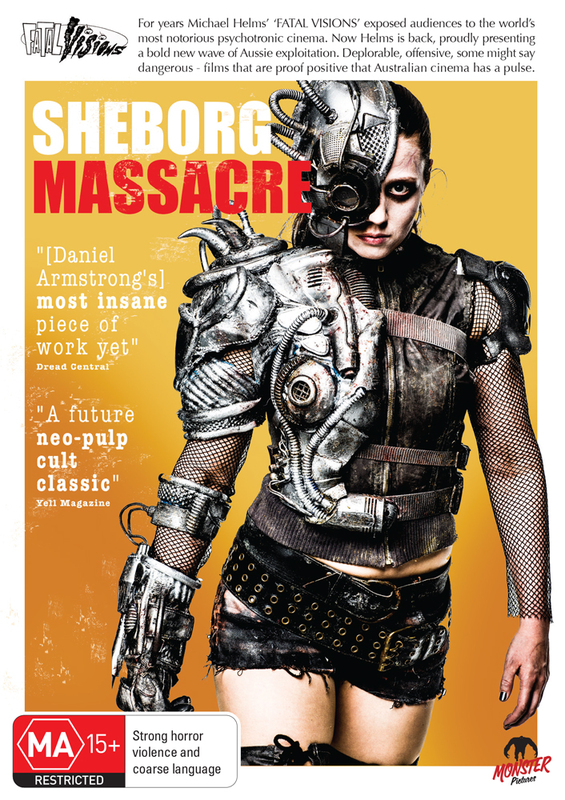 Daniel Armstrong`s 2016 feature Sheborg Massacre operates as the quintessential addition to any low-budget horror movie archive. 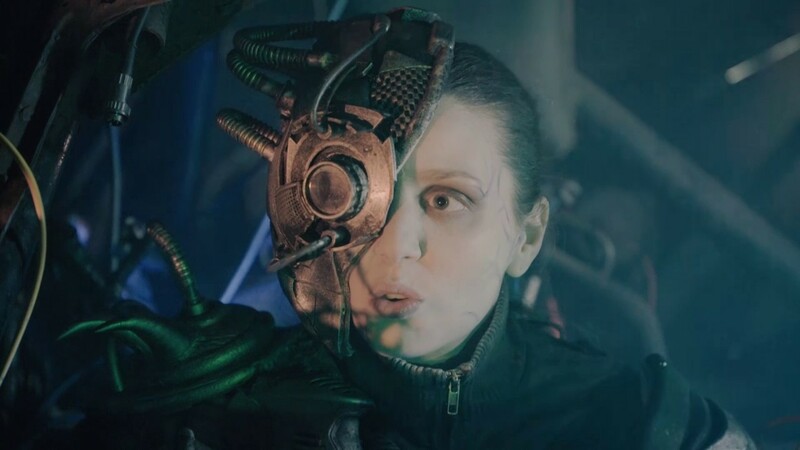 Filled with camp, gore, and a slew of badass female characters, this Austrialian sci-fi\horror\comedy makes it`s mark as an entertaining gesture towards the microbudget horror movie genre. Sheborg Massacre stars Whitney Duff and Daisy Masterman as Dylan and Eddie, two best friends whose rebellious natures and passion for activism often cause them to be entangled with authorities. They find themselves in the midst of a budding invasion of zombie-like sheborgs from outer space and take it upon themselves along with the help of a few more rebel personalities to fight and resist the potential takeover of earth. The movie most certainly lives up to it`s quirky synopsis, delivering clever one liners and creative kills. It is campy and grotesque in that late 70s/early 80s kind of way. It is obvious that the filmmakers intended to emanate some of that nauseating gore we often see in the Alien franchise. 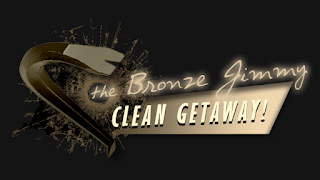 Attempting to kill a character within the first ten minutes by acidic projectile vomit? Gnarly. The movie is well-constructed in terms of it`s story telling. It provides an arc for each lead and drives you to genuinely care for it`s heroines. It often tends to be the case that a low-budget movie of this stature, and especially one that is derivative of material such as this, will take the opportunity to sexualize the situation and the female leads. How refreshing it is that Sheborg Massacre refutes that particular route and instead focuses on retaining the dignity of all it`s female characters. Both heroines and villains alike are badass women who spare no time not fighting for what they believe in. In that respect, I greatly admire how the material was handled. Its cartoony nature brought me back to when I was a little girl and would look up to the cool fighter chicks in all my favorite action TV shows and movies. It is hard to ignore the low-budget quality of the film. Sheborg Massacre is a movie that is far from taking itself too seriously, but even that can't excuse sometimes very poor attempt at special effects or set decorations. Yes, it is obvious that a majority of the movie is shot in some random woods where the crew cannot be bothered. Of course these kinds of budgetary handicaps add to the charm of a micro-budget movie. However, seeing a strobe light right in the shot when it’s obviously meant to be an enhancement for a scene and not a focal point does come off as being a little bit sloppy. I feel that with a little more tact and attention to detail, this is a movie that can potentially be mistaken for an actual horror/sci-fi production. Perhaps next time a little bit more attention to detail can be given by the filmmakers as they seem to be well on their way to making a fun, gory, and campy picture. Sheborg Massacre is an undoubtedly fun ride that reels you in from the moment the two heroines are introduced. It goes by about as fast as it’s hard-rocking soundtrack and offers up consistent entertainment from start to finish. Still, there are aspects of it that come off as lazy to which with a little more effort, it could have been quite flawless for such a low-budget film. Sheborg Massacre almost nails it; except for when it comes to acidic projectile vomit. That sheborg always nails her target.